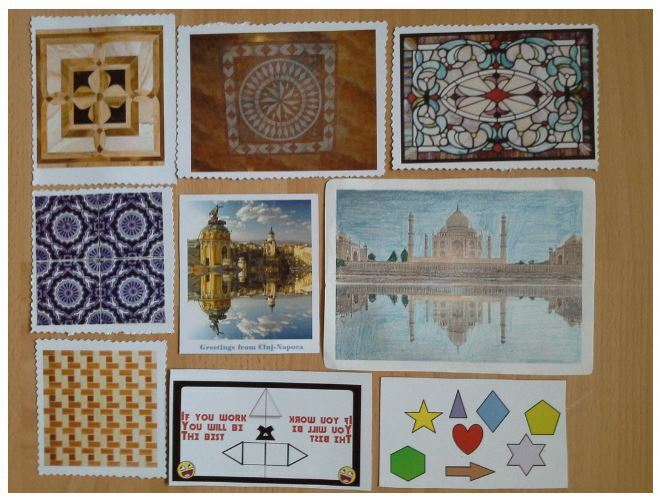 In order to get to know each other better and connected with the theme - axial symmetry, we could exchange some real postcards made by ourselves. Every school will create cards with assignments for the partner schools. 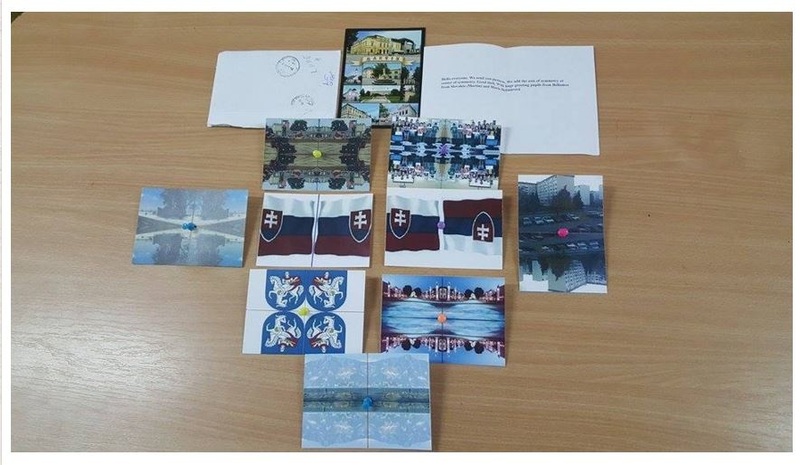 Cards could be drawn by hand, made of pictures found in newspapers or they could be the real postcards. We will send them by post.